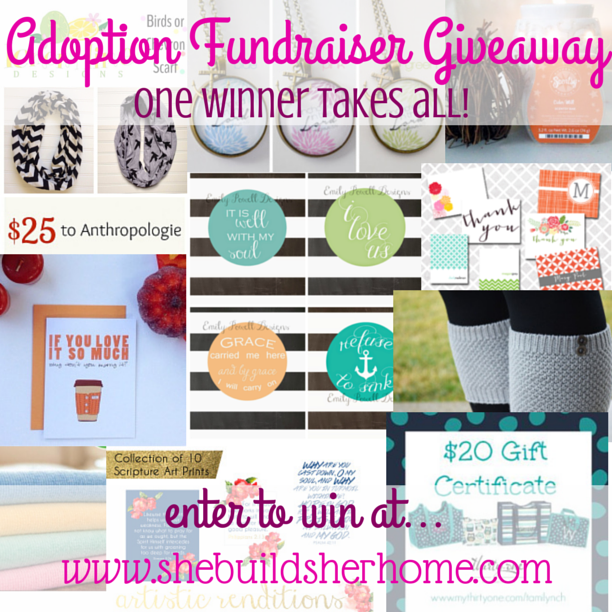 She Builds Her Home: Giveaway Starts TOMORROW!!! Be sure to come by tomorrow to enter the giveaway to support our adoption! SO much awesome stuff coming in at around $300 total value!! See you here tomorrow!